Ira A. Lipman is a well known entrepreneur, humanitarian and leader of social justice organizations. In his personal life he is a devoted husband to his wife Barbara and father to his three adult sons as well as a noted collector of rare books and art. Ira A. Lipman founded Guardsmark as a privately held security services company in 1963. He is the company’s Chairman Emeritus and Founder, having served as its Chairman of the Board and President. Guardsmark served customers throughout the United States of America, Canada, Puerto Rico, and the United Kingdom. Guardsmark was a public company from 1970 until 1979. As a private company its revenues exceeded $500 million and had a compounded growth rate of more than 10% without a single acquisition from 1977 to 2008. Known for its innovative security concepts and rigid standards of excellence, Guardsmark’s meteoric growth since its founding earned it the position of one of the world’s largest security service companies. In 1992, Time magazine cited Guardsmark as the company “ . . . which many security experts consider the best national firm in the business,” and in his bestseller Liberation Management, Tom Peters praised Guardsmark as the “Tiffany’s” of the security industry. Also in 2002, Mr. Lipman personally received the Stanley C. Pace Award for Leadership in Ethics from the Ethics Resource Center and the Committee for Economic Development (CED) honored Mr. Lipman and his organization with the 2002 Corporate Citizenship Award. Guardsmark received the national American Business Ethics Award as the private company recipient in 1996. In July 2015, Guardsmark merged with another company. A humanitarian, Lipman has an extensive history of involvement with various organizations that promote human and civil rights. He has served as Chairman of two national non-profit organizations: the National Conference of Christians and Jews and the National Council on Crime and Delinquency. He was the first Chairman of the Ethics Committee of the United Way of America. He is a member of the Council on Foreign Relations and a board member of numerous organizations including the Simon Wiesenthal Center and the New-York Historical Society. Mr. Lipman has written for the public on a wide range of security topics and contributes regularly to the professional literature of the security field. He is author of the book How to Be Safe, published by Reader’s Digest in 2012. How to Be Safe is revised and updated from the fourth edition of How to Protect Yourself from Crime, which was also published by Reader’s Digest in 1997. First published in hardcover simultaneously by Atheneum Publishers in the United States and McClelland & Stewart Ltd. in Canada in 1975, How to Protect Yourself from Crime was reprinted in paperback by the Law Enforcement Assistance Administration in December 1980. Portions appeared in Reader’s Digest magazine in August 1981. The second edition was published by Avon Books in 1981, the third edition by Contemporary Books in 1989. Mr. Lipman is also the author of articles that have appeared in national publications and of editorials published by The New York Times and The Washington Post. Quoted frequently in The New York Times and The Wall Street Journal, and appearing in the national broadcast media, Mr. Lipman is editor and publisher of The Lipman Report, a specialized monthly management newsletter. He served as special editor for the July 1988 issue of The Annals of the American Academy of Political and Social Science, an issue titled “Private Security: Issues and Trends.” His achievements have been featured in 132 books, and his biography is included in Who’s Who in America. The New York Times editorially praised Mr. Lipman and Guardsmark in 1982. In 1995 Mr. Lipman founded The John Chancellor Award for Excellence in Journalism administered by the Columbia University Journalism School. John Chancellor the NBC News correspondent covered the 1957 desegregation of Central High School in Little Rock, Arkansas. Mr. Lipman was his source, a secret kept from 1957 until 1992, when Chancellor disclosed it to journalist David Halberstam, who reported it in his book The Fifties. A Pulitzer prize winner, The Race Beat includes this. In 2004, Mr. Lipman received the Dean’s Medal of the Wharton School of the University of Pennsylvania, where he served as a member of the Board of Overseers from 1991 to 2004 and 2005 to 2016. In 1983, he received the distinguished service award from the national association for the advancement of colored people, and in 1985 received the national conference of christians and jews humanitarian of the year award. In 1988, he received the Distinguished Achievement Citation for significant professional accomplishments and service to mankind from Ohio Wesleyan University and served on the Board of Trustees from 1988 to 1997 and in 2010 was awarded an honorary Doctor of Laws degree. He was a member of the Northeastern University Corporation from 1997 to 2005. He holds three honorary degrees, an LL.D. from John Marshall University, an LL.D. from Northeastern University and an LL.D. from Ohio Wesleyan University. He is a member of the Council on Foreign Relations and the Committee on Corporate Affairs and has served on the Chairman’s Advisory Council. He is a founding member of the Council’s Homeland Security Project. In August 1992, Mr. Lipman was elected a member of the Board of Governors of the United Way of America and simultaneously became and served as the first Chairman of the Ethics Committee until May 1997. He has served as a member of the Diversity Committee and is a member emeritus of the Alexis de Tocqueville National Leadership Council of the United Way of America and has served as a member of the Executive Committee of the Board of Governors of the United Way of America. He served as Chairman of the Steering Committee of the United Way Leadership Conference 1996 and from December 1991 until August 1992 as a liaison with the Board of Governors of the United Way of America. As general campaign chairman of United Way in Memphis for 1985‑86, he chalked up the largest percentage increase in contributions among the fifty largest cities in the United States. He has served as National Chairman for two well-known national organizations. 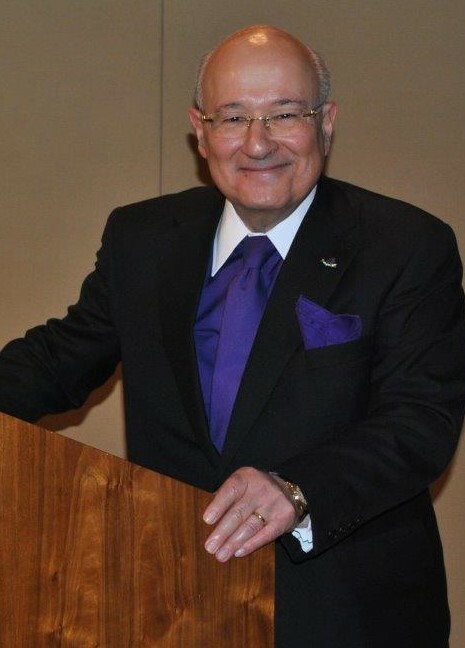 In 1992, he became the Honorary Chairman for life of the National Conference of Christians and Jews, which he has served as past National Chairman from 1988 to 1992. He is Honorary Chair and Chairman Emeritus of the National Council on Crime and Delinquency. He has served as Chairman and Chairman of the Executive Committee of the organization in previous years. He is also active nationally in a wide range of business, political, religious and human relations, and cultural endeavors. He has served on the boards of more than 55 organizations and holds membership in numerous others. Mr. Lipman is a concerned and active citizen who for many years has worked to further a variety of social and business causes. In addition, he is a long time Trustee of the Simon Wiesenthal Center, the International Human Rights Organization. He has served as Chairman of the Governance Committee, Chairman of the Nominating Committee, and numerous other responsibilities since becoming a Trustee in 1982. He founded the Memphis Young Republican Club in 1960 and became its President in 1960 and in the words of Lewis R. Donelson, Esquire, a well-known Memphis attorney, in a letter to the President of the United States dated January 31, 1992, “single handedly revitalized the Tennessee Young Republicans in the early 1960s,” in an act that “was the spark which ignited the growth of the Party” and made possible for the first time the election of numerous prominent Republicans to the highest statewide offices in Tennessee. Ira A. Lipman was born in Little Rock, Arkansas on November 15, 1940 to Philadelphia natives Belle and Mark Lipman, who came to Little Rock in 1935. He was educated in the Little Rock, Arkansas public school system and studied at Ohio Wesleyan University from 1958 to 1960. He served on the university’s Board of Trustees from 1988 to 1997 and received its Distinguished Achievement Citation in 1988 and an Honorary LL. D. degree in 2010. He holds two other Honorary LL. D. degrees, from Northeastern University and John Marshall University. Throughout his career, Lipman has served on numerous boards and has received many distinguished awards acknowledging his various accomplishments. He was appointed Memphis Metro Chairman of the National of the National Alliance of Businessmen by President Richard M. Nixon for the 1970-1971 term, and has been honored with many awards. Married in 1970 to Barbara Kelly Mr. Lipman is the father of three sons, Gustave, Joshua, and Benjamin, His principal residence is New York.